We hope this post gives you a better understanding & awareness on WHY the low FODMAP diet is not a strict diet for life. With the growing interest and success of the low FODMAP diet, the diet is being taken up by thousands of people internationally. This is great news - finally a strategy to improve symptoms for the majority with IBS! The truth is the low FODMAP diet is designed to be followed strictly for an initial 2-6 weeks until symptoms resolve. At that stage, gentle reintroductions are encouraged by your dietitian to learn your level of tolerance. What does it mean exactly to “re-introduce”? For the patient to continue to have good symptom control. This is where the re-introduction phase is very individualised and will depend on how severe your symptoms are, what type of symptoms you experienced (e.g. 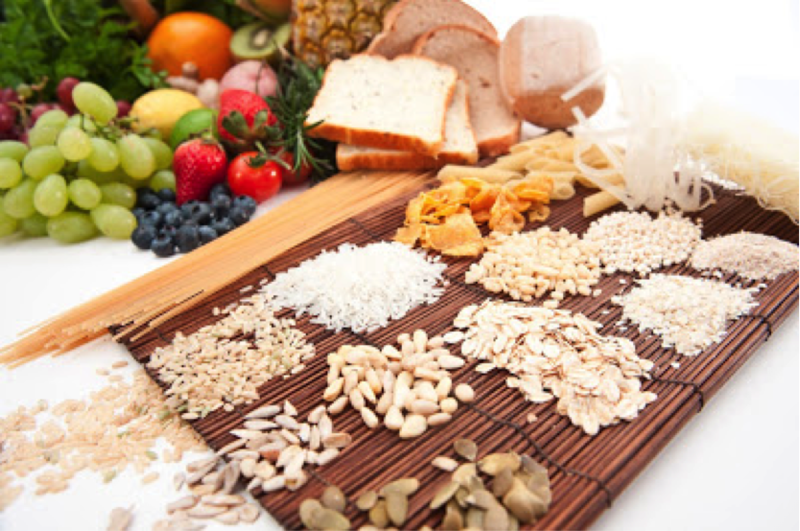 constipation or bloating or diarrhoea may have different trigger FODMAPs), and what your normal dietary habits are. 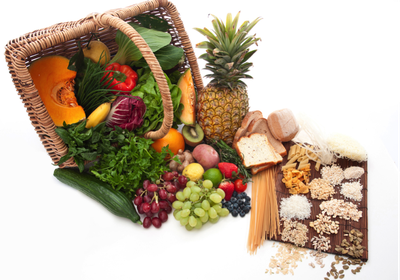 Some patients may be able to re-introduce many types of high FODMAP foods and eat them regularly. Other patients may only be able to re-introduce a couple of specific foods and only consume small amounts. The re-introduction phase is about trying to find a GOOD BALANCE - between continuing to have good symptom control AND re-introduction of some higher FODMAP foods if possible in the amounts tolerated to have the beneficial prebiotic effects. If you have not tried to reintroduce before, or have had trouble tolerating re-introductions - then it may be beneficial to speak with a Dietitian who specializes in the area, as they will be able to help you to do it in a strategic way and will adjust the re-introductions to suit your needs and your symptom types. Relaxation of FODMAP restrictions is very important for several reasons. Firstly, it ensures patients include a varied diet, incorporating a wide range of foods rich in nutrients for optimal health. Secondly, research has demonstrated that FODMAPs are prebiotics. This means they are a food source for bacteria, encouraging the growth of good bacteria with potential health benefits. As many of you are aware, the low FODMAP diet has been developed over the past 10 years through research that our department has been conducting, and has now also been found to be effective by other research groups around the world. As the dietary research has progressed the diet-itself has undergone refinement and so we continue to make further adjustments to our recommendations. In the past two years, there have been two important research studies (one from the group in King's College London (KCL), one from here at Monash University [1, 2]), which have not just looked at symptom improvement on the Low FODMAP diet, but have started to look beyond symptom control and assessed possible changes to the gut microbiota. [One of the major reasons for our interest in this was the well established knowledge that that 2 major FODMAP( namely fructans and GOS) are also well known prebiotic carbohydrates -that is, they help the growth of good bacteria in the large intestine)]. Both the KCL and Monash studies found that individuals who stay on the low FODMAP diet develop changes in their gut microbiota. BUT we need them in the diet long term to obtain the right balance of gut bacteria. While this is a very new area of research - and we do not fully understand the implications of these types of changes - we do feel that it is best to advise people that a very strict low FODMAP diet should not be followed over the long-term. Now that we know that these changes may occur, Monash is much more pro-active in encouraging patients who are on the diet, to try and re-introduce some high FODMAP foods if they are able to tolerate it. Everyone is different and so you will have to discover your own 'tolerance level'. It is certainly worth trying and it has been our experience that MANY individuals end up with much less restrictive diets and with only a few key foods they avoid. PLEASE INCLUDE SOME FODMAPS IN YOUR DIET & SPREAD THE WORD! Any suggestions of how to begin? A good place to start is with canned legumes such as chickpeas or 4 bean mix. These contain only small levels of prebiotic galacto-oligosaccharides – small enough to not cause significant symptoms, but sufficient to gradually build your prebiotic intake and encourage good bacterial growth. Alternatively pick one of your favourite foods that you couldn't eat whilst on the diet & try eating a small amount. If you are hesitant, please seek the advice of an experienced dietitian to help guide you through the process. Will I ever be able to eat normally again? 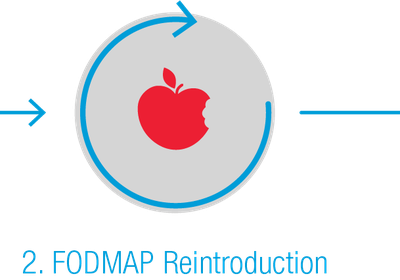 Often patients who have completed the reintroduction phase, unfortunately do not end up eating exactly as they did before the low FODMAP diet, but they might be on their own modified version of the low FODMAP diet. I.e. they may still follow parts of the diet that they need to in order to continue to have good symptom control, but re-introduce some high FODMAP foods that they are able to tolerate. It is also important to remember that with IBS, the symptoms DO NOT ALWAYS stay the same. This means that even if you find that you are not able to reintroduce much right now due to symptoms - you may find in 3, 6 or 12 months time, that your symptoms have improved and you are able to tolerate more. Again we recommend that you work with you dietitian to slowly re-introduce some higher FODMAP foods into your diet. https://www.monashfodmap.com/blog/low-fodmap-diet-not-lifetime-diet/ if you would also like to read a older blog post written by us that also briefly talks about the Low FOMAP diet being not a 'lifetime' diet. Staudacher, H.M., et al., Fermentable Carbohydrate Restriction Reduces Luminal Bifidobacteria and Gastrointestinal Symptoms in Patients with Irritable Bowel Syndrome. The Journal of Nutrition, 2012. 142(8): p. 1510-1518. Halmos, E.P., et al., Diets that differ in their FODMAP content alter the colonic luminal microenvironment. Gut, 2015. 64(1): p. 93-100.